Fisher-Price Laugh & Learn Smart Stages Chair Just $19 Down From $40! 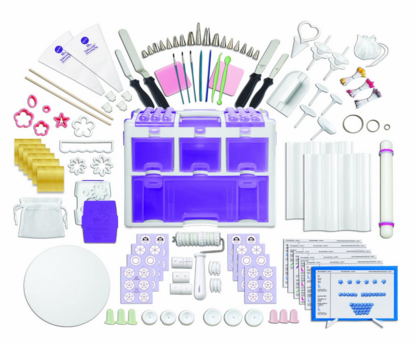 You are here: Home / Great Deals / Amazon Deals / Wilton 2109-0309 Ultimate Professional Cake Decorating Set Just $102 Down From $206! Wilton 2109-0309 Ultimate Professional Cake Decorating Set Just $102 Down From $206! Do you love cake decorating? Check out this deal on Amazon. Wilton 2109-0309 Ultimate Professional Cake Decorating is just $102 down from $206! Get yours now while it lasts!